I don’t normally post ”work in progress” but this one is pretty large and I wanted to show off what I had so far. 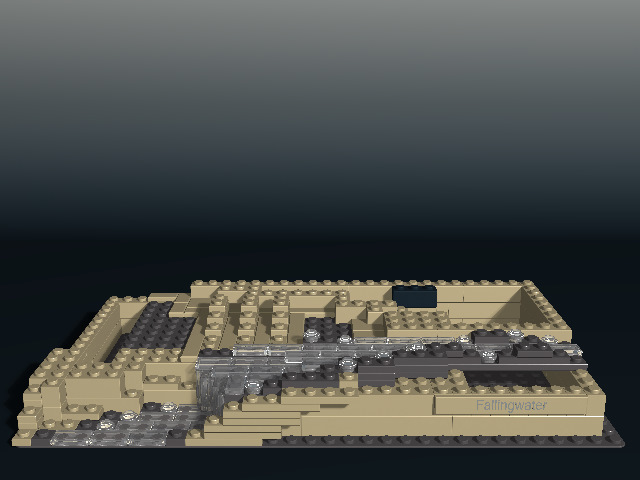 It may not look like much yet, but I've finished my favorite part of the 21005 Fallingwater model: the waterfall. Because this is a newer model, I discovered that I had been using the wrong color gray. This one uses the correct dark bluish gray (LEGO dark stone grey) and will also be using the correct dark green (LEGO earth green) and reddish brown colors when I get that far. I somehow doubt I will ever stop tweaking my color scheme! Just as I said about 21004, If you love LEGO bricks as much as I do, you owe it to yourself to give this model a try!